Bottle feeding a baby comes with its share of decisions. 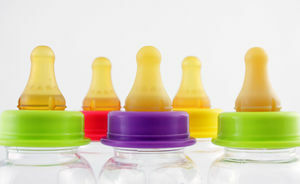 Learn about when to introduce the bottle, how to supplement breast milk with formula, which bottle type is right for your baby, and more. 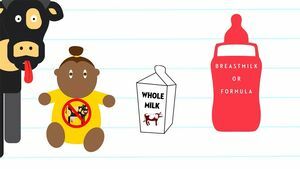 Dr. Alan Greene answers the question, How many ounces of breast milk should my baby be eating from the bottle? 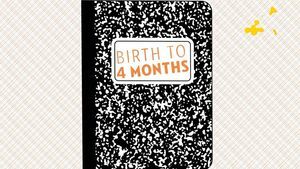 Following your newborn's feeding and diaper patterns is a helpful way to make sure your baby's growing on track. Print our log and get started! 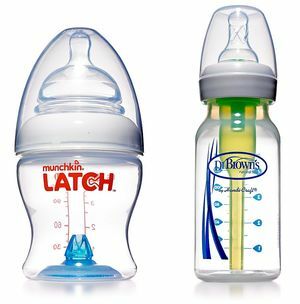 Learn the ABCs of bottlefeeding your newborn. 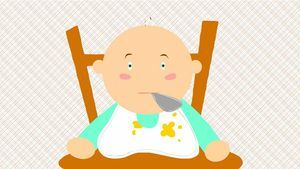 Once your baby hits the four-month mark, she may be ready to start solids. Learn what kinds of food to try and how much she should be eating. 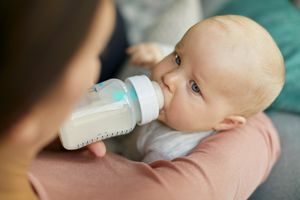 Bottles are an important part of a baby's nourishment during the first year of life, so make sure your little one's bottles are always washed properly. 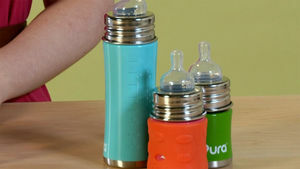 You won't have to worry about Bisphenol-A in your baby's milk when you feed her from one of these bottles or cups. 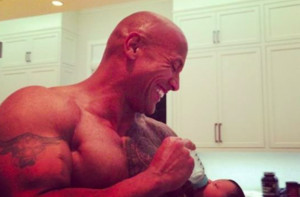 Dwayne "The Rock" Johnson shared a sweet video to Instagram on Valentine's Day, starring his baby daughter. 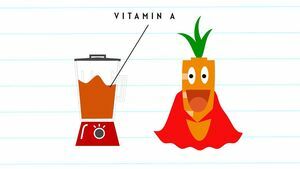 A new study suggests parents might be able to prevent obesity later in life by changing one simple thing about an infant's diet. For a variety of reasons, some mothers forgo breastfeeding. 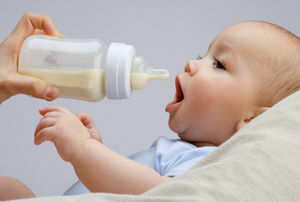 Luckily, there are several types of infant formula that provide the nutrition babies need. Feeding Baby doesn't always go smoothly. Here are three solutions to your biggest feeding frustrations. Weaning your baby is an exciting time for both of you. It's a huge step forward for your baby into whole new world of tastes and textures. 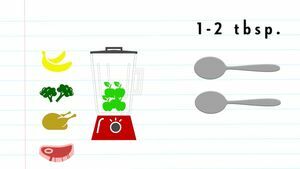 You know your little one needs to eat regularly, but what is considered a normal feeding schedule? 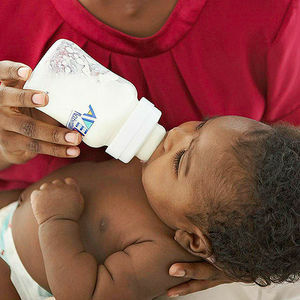 Learn how often your newborn should be eating and how much, whether he is breastfed or bottlefed. Find your perfect bottle among our new favorite picks. 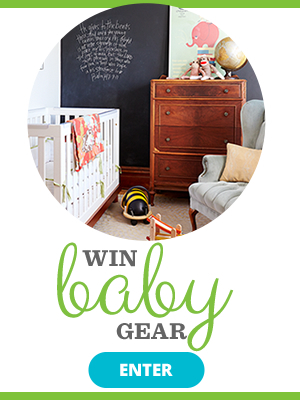 It's best to have a plan when weaning your little one. We tell you how to make the process go as smoothly as possible for you and your little one. New research may have you rethink the way you feed your baby. The little guy appears to be able to hold his own bottle even though he is less than three weeks old! 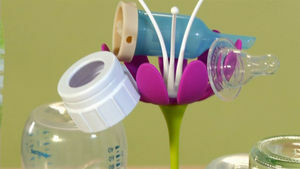 Many called this mom's baby bottle storage hack genius when it went viral, but others, incredibly, had negative things to say.